Toll Free phone numbers can be the key to expanding your business to customers that you couldn’t have reached otherwise. But how do you choose a good toll free provider? What are the differences between them that make it more desirable to choose one over the other? There are a lot of companies that have jumped on the bandwagon offering toll free numbers, but how do you know which will be more like your business partner, and less like a phone company? The answer is in the services and conveniences they provide to you. And if you compare services, you’ll quickly see why Global Call Forwarding provides more than any other service today. Let’s look at a sample comparison with a company called Avoxi, which also offers virtual and toll free phone numbers. Being open about the services that a company offers is a good indication they’re going to treat you fairly. Avoxi: Does not offer automatic free trial periods. You have to make a specific, inconvenient request to be granted the option. You will otherwise begin paying at whatever plan you choose from Day 1. 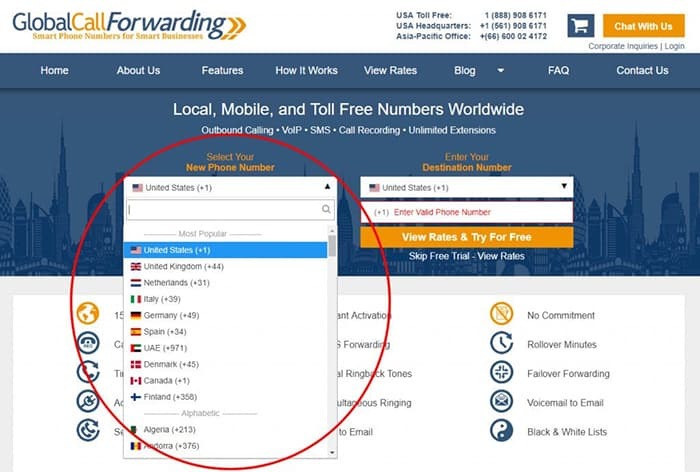 Global Call Forwarding: We’re so confident in what we do that we offer customers a free trial — for every plan — to see if a toll free or international phone number is right for them. You paid for your minutes — they should be yours even if you don’t use all of them in one month. 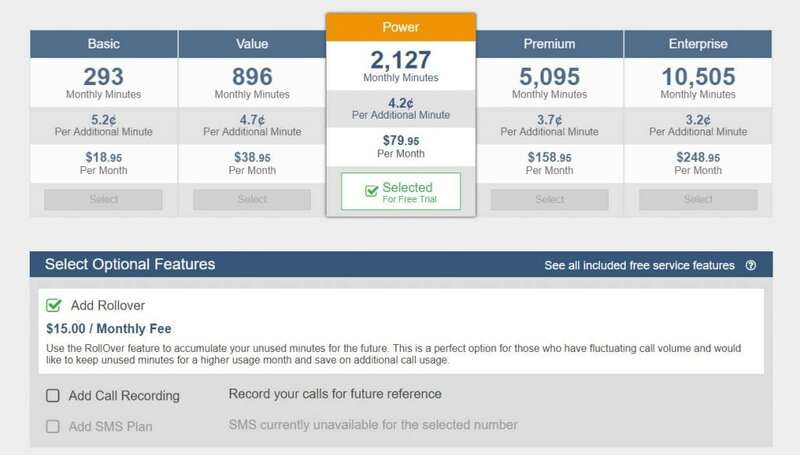 But not every toll free provider lets you carry over unused minutes to the next month. Avoxi: Does not offer rollover minutes. If you don’t use your allotted monthly amount, the unused balance of minutes is lost. Global Call Forwarding: We offer rollover minutes, giving your business the flexibility it needs from month to month. If you don’t use 10 minutes of your selected plan this month, that 10 minutes gets added to your minute total for next month, and the next, for up to six months. Text messaging is the preferred method of communication for many people. Shouldn’t your toll free number have the ability to accept text messages — either from customers, co-workers or for personal use? Avoxi: Does not offer SMS messaging. Global Call Forwarding: Our plans feature the ability to have incoming text messages sent directly to a designated email address. Messages include the message, the caller’s phone number, and caller ID. Your online control panel also tells you the date and time that each message was received. This feature lets you put an incoming call on hold before it’s picked up, so you can re-route it to a different phone number — for example, a different department or employee. Avoxi: Does not offer call transfers. Global Call Forwarding: Not only can you put an incoming call on hold while you transfer it, you can even speak to the person you are transferring to while the call is on hold (for example, to brief them on what the call may be about). We know the world is full of business opportunities, which is why it is important to cater to a global audience and offer numbers for many different international locations. Avoxi: Currently Avoxi offers international toll free numbers in only 45 countries even though they advertise having over 120+ countries available which is inaccurate. Global Call Forwarding: We offer numbers for over 130 different countries around the globe. Each number is customized to the relevant country — so, for example, a phone number in Australia will have Australian area codes, calling codes, and will look exactly like an Australian phone number. Avoxi: Does not offer 1-800 numbers. Global Call Forwarding: We not only offer 1-800 toll free calls, but also various other toll free prefixes, such as 833, 866, and 888. Want to personalize your number, or customize the number to make it as memorable as possible? A vanity number can be an important part of an overall marketing strategy. Avoxi: Offers vanity numbers — but you need to contact them first before you can. 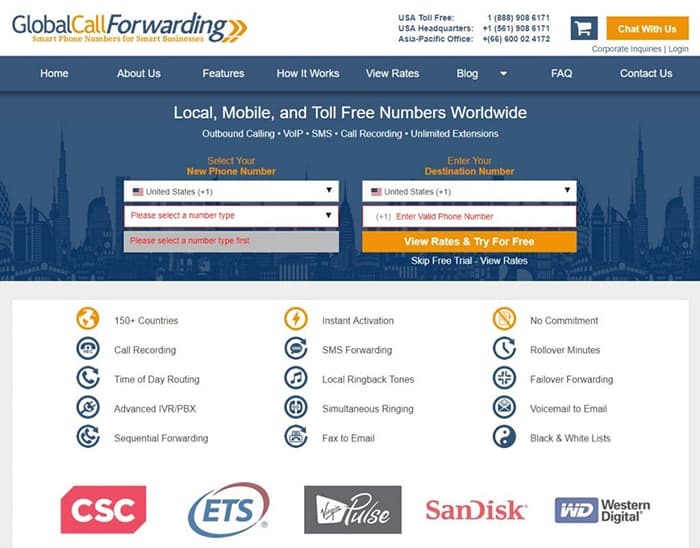 Global Call Forwarding: We offer vanity numbers and we understand that you may be too busy to sit on the phone to get a vanity number, so we let you purchase vanity numbers instantly, right from our website. Some numbers, however, will require you to fill out a request form. Plan disclosure: Our plans are all shown side by side, for easy comparison. Multiple Numbers: Maybe you want more than one number. That’s easy and intuitive to get with us—just add them to your cart. Other providers, such as Avoxi, require that you order one number at a time. For high volume orders of multiple phone numbers, this can be extraordinarily time-consuming. Changing Plans: After a few months, you may find you need more or fewer minutes, based on your needs. Maybe you’re a seasonal business, and one plan doesn’t work for all 12 months. That’s OK. You can change plans with Global Call Forwarding at any time. Global Call Forwarding is the leader in toll free and international virtual phone numbers. We don’t just provide phone numbers; we make it more convenient for you to reach out to more customers because we provide more options to handle incoming calls. Contact us today for more information about getting one or more virtual toll free numbers for your business. Find out why we’re the leader in toll free phone services, as well as in flexibility and customer service.